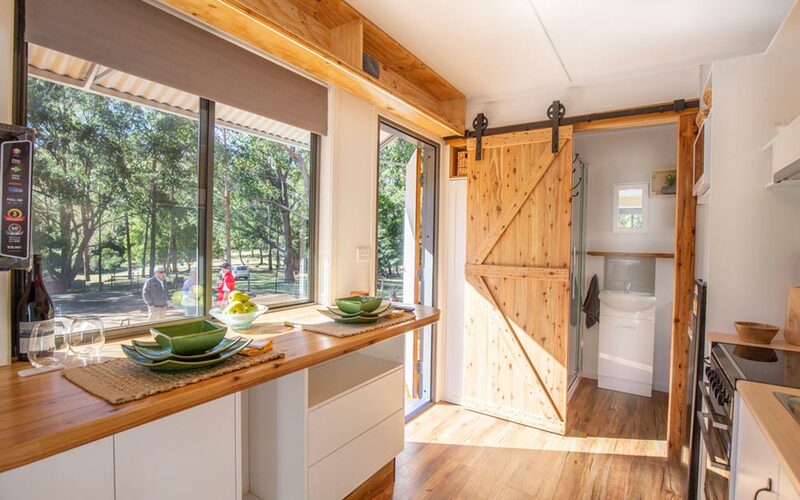 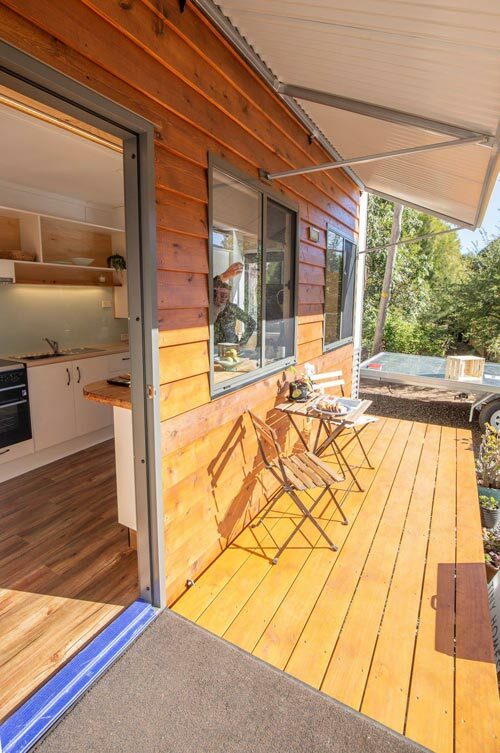 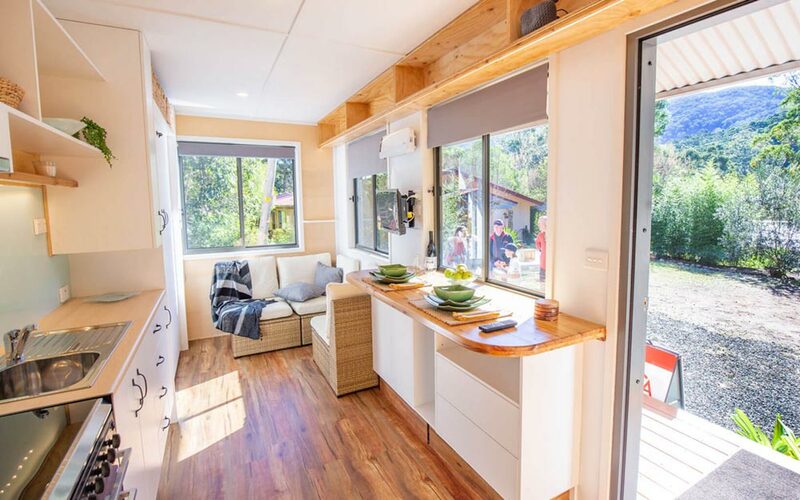 The Beach Shack was built by Tiny Homes Tilba Australia and features an attached deck and veranda roof, providing a great outdoor living space for entertaining. 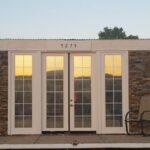 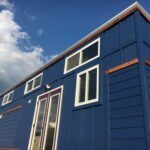 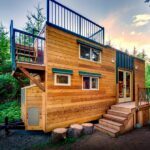 The tiny home was built using metal framing and a two-tone corrugated metal exterior. 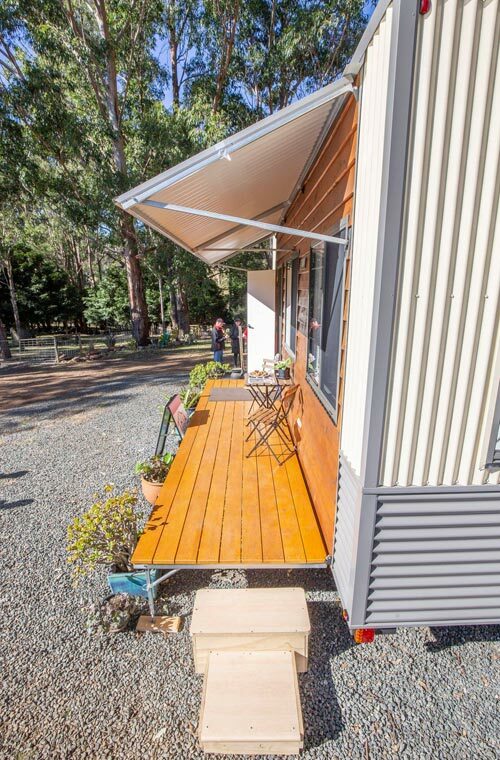 When the deck and veranda are folded out they expose wood siding and decking. 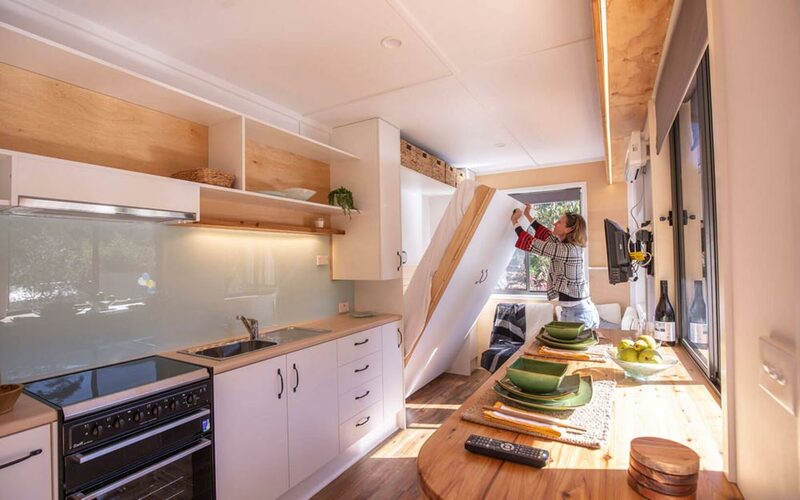 The Beach Shack is 6.4-meters (~21-feet) long by 2.42-meters (~8-feet) wide. 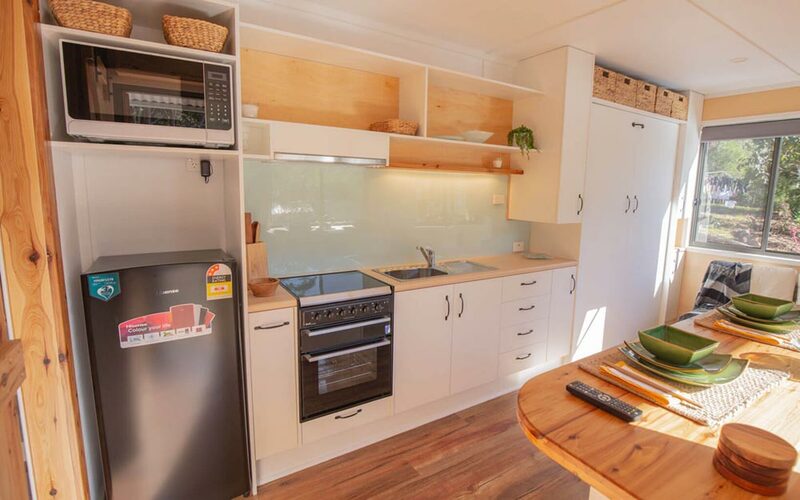 Inside the Beach Shack is a murphy bed in the living room, bar height dining table, and several storage areas. 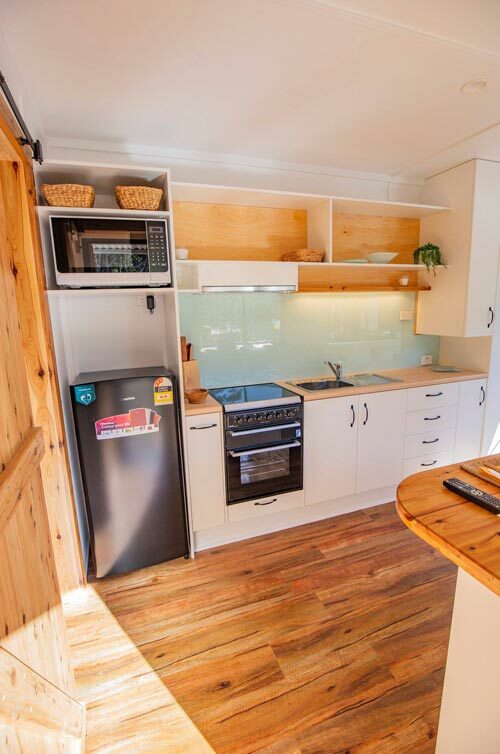 The kitchen is outfitted with a gas oven and cooktop, stainless steel sink, refrigerator/freezer, and microwave. 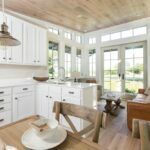 White cabinets and light wood finishes create a bright workspace. 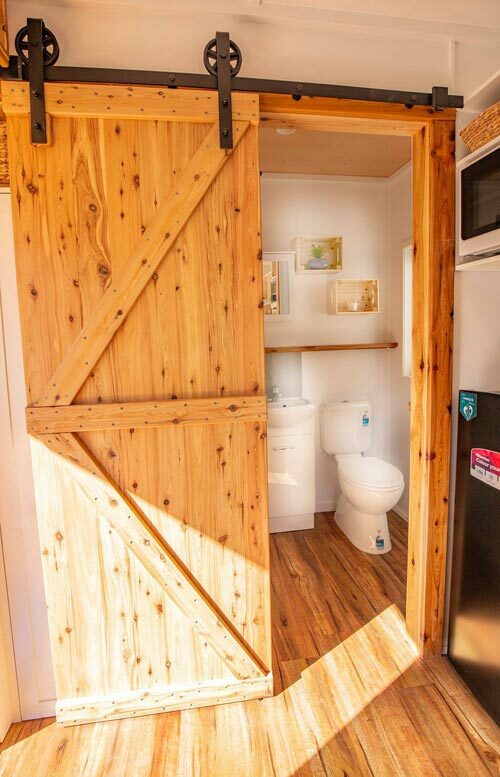 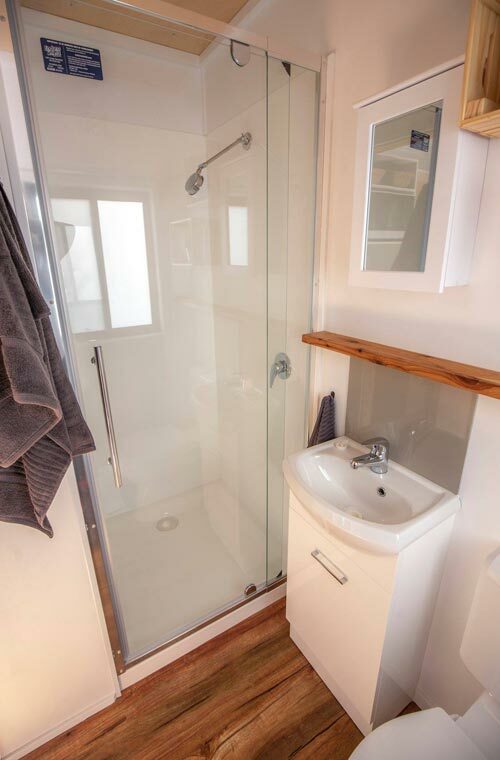 The bathroom includes a barn door, shower with glass door, vanity, medicine cabinet, and flush toilet. 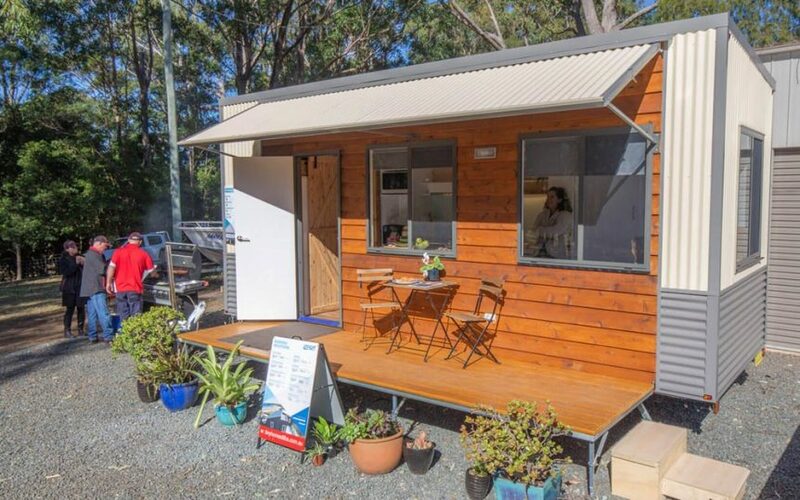 The Beach Shack was listed for $65,000 AUD. 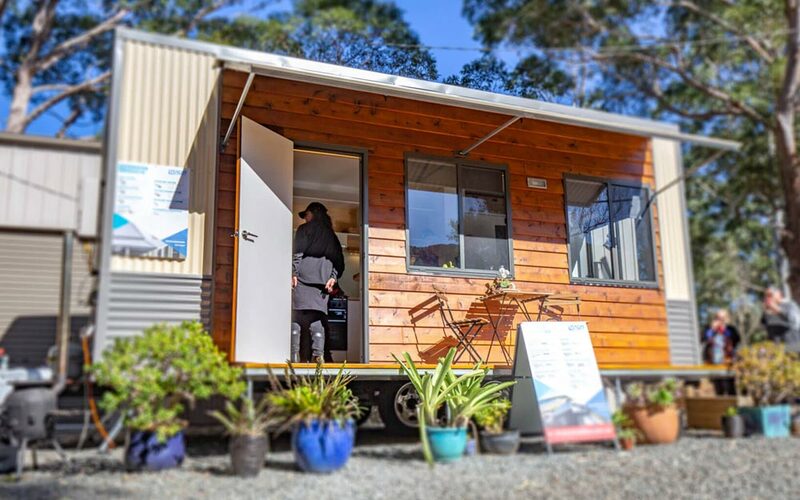 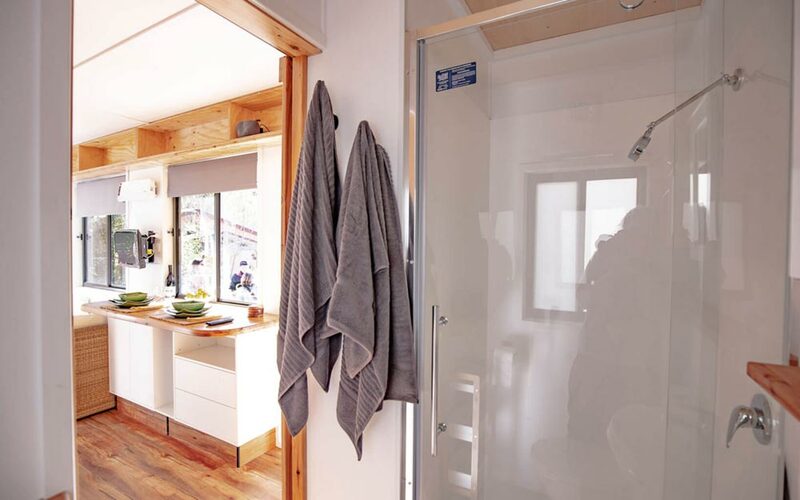 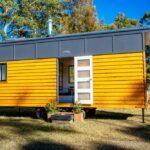 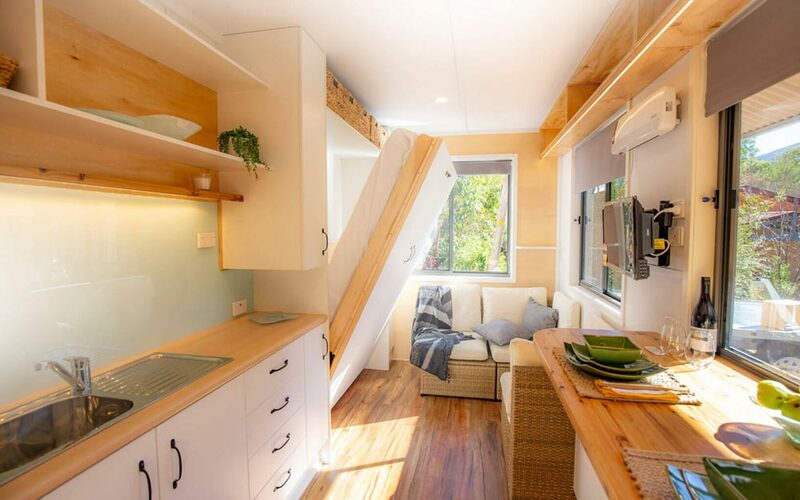 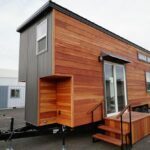 For more information about the tiny home, please contact Tiny Homes Tilba Australia.